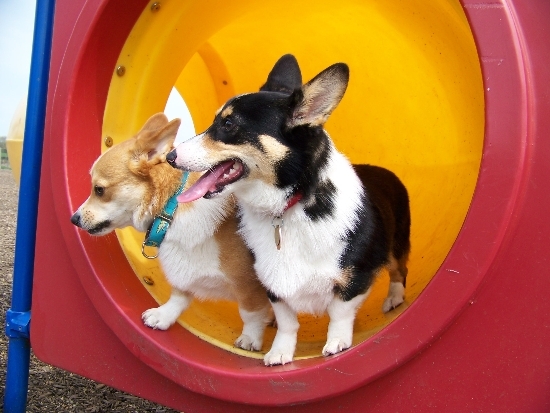 Many pets love playground equipment. It is in their nature to climb and explore, and playgrounds offer plenty of open spaces to play and exercise. 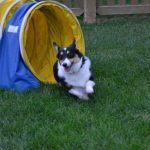 In some locales you will find dog parks or playgrounds designed for pets, which are ideal locations to visit. 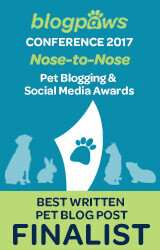 Otherwise, if your local playground allows pets (some do not), why not visit? 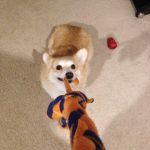 Does the playground allow pets? 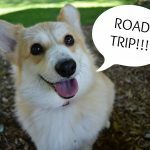 You certainly do not want to take your pet to an area where he or she is not welcome. How sociable is your pet? 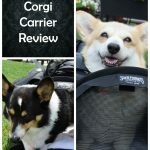 You want to be sure that your pet be comfortable with other people around, children in particular. 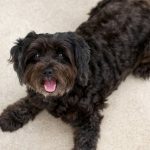 Be sure that your pet is well behaved, and do not approach children with your pet unless they and their parents authorize and welcome it. Remember that some children (and adults) are afraid of animals. 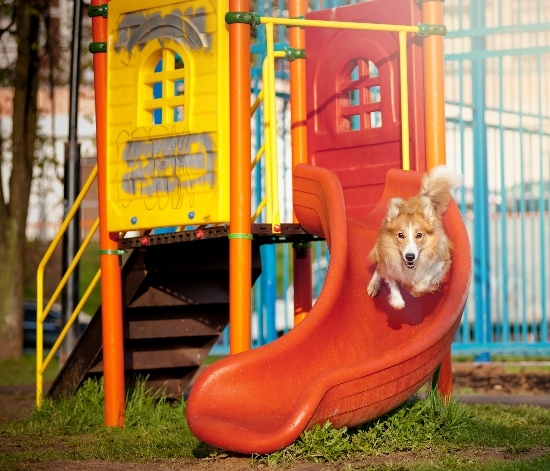 Will the playground be safe for your pet? 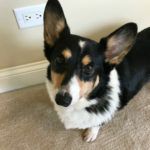 Look for fenced areas and If it is not fenced, keep your pet on a leash. 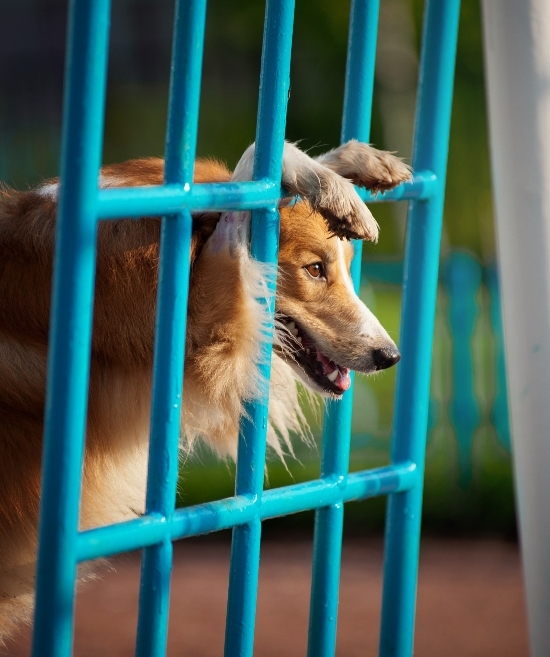 Some pets are not comfortable with playground equipment and may be afraid of it. 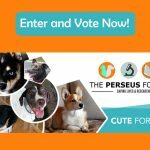 For those pets, a leisurely walk around the park might be the best option. 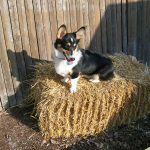 This is one of my favorite photos of my corgi Ty (Puppy on a Roomba) at the playground. 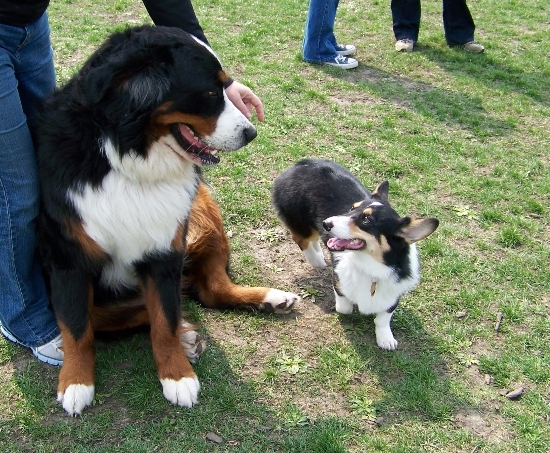 He met this gentle giant Bernese Mountain Dog during a corgi meetup at an area dog park. 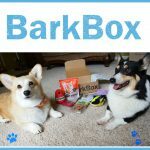 Gibson from the Corgi Butts blog and Ty from Puppy on a Roomba share some play time during a corgi meetup. 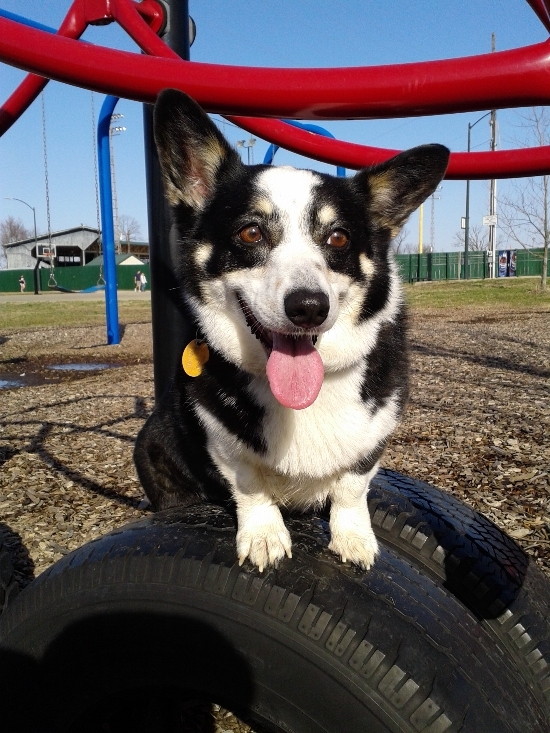 Scout the Corgi enjoys some tire time at the playground. 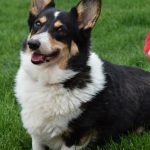 Photo Credit: Emily Nichols & Scout Corgi. Why slide, when you can run and leap instead? This dog clearly enjoys the playground. 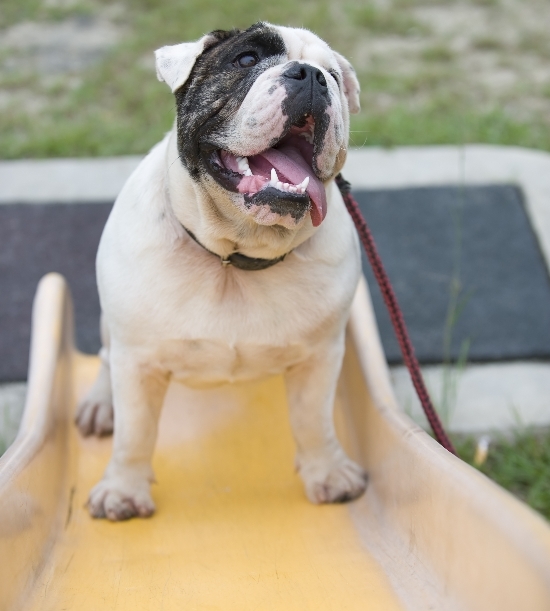 This happy bulldog is all smiles on the playground slide. 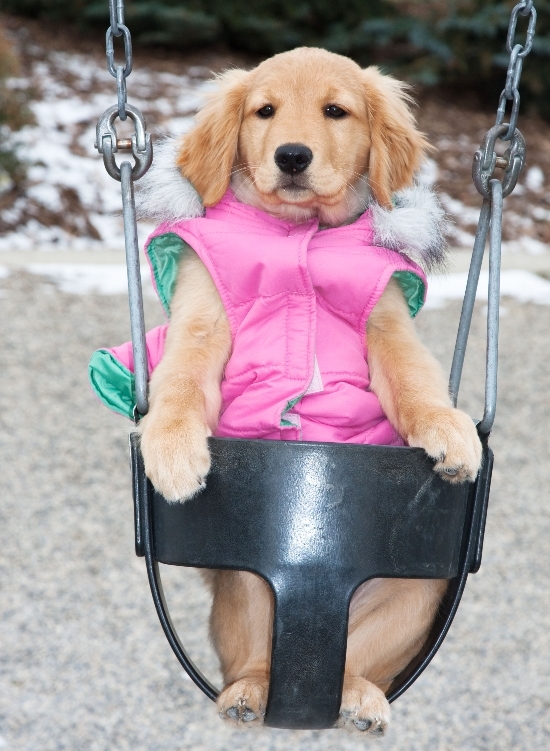 This adorable girl is all dressed up in warm puppy clothes for some winter playground fun. 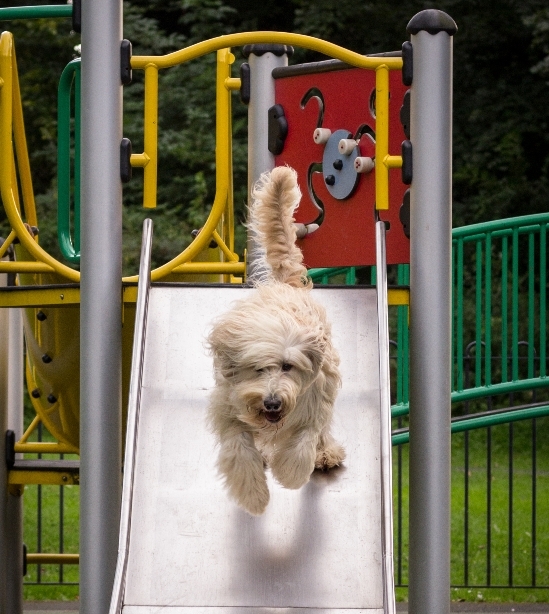 Some dogs prefer to leap and bound down the slide! 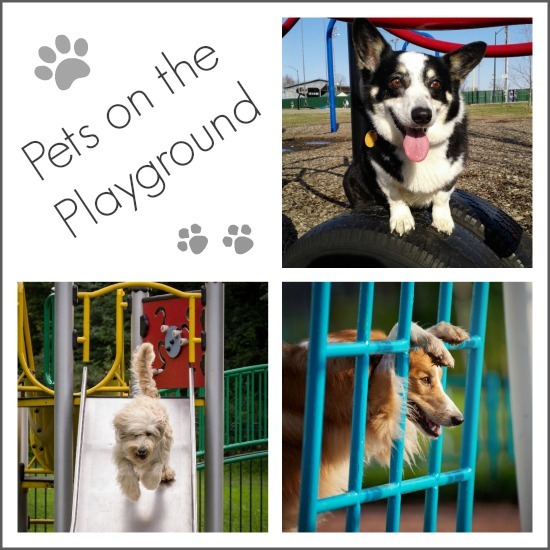 Have you taken your pet to the playground?